Is this the most beautiful event in the world? From the cold, grey and dark Finnish fall rises the biggest startup event in Europe, and probably the most beautiful event in the world. Known for it’s unique atmosphere, Slush turns Helsinki Convention Center into a mythical world of it’s own. From futuristic lasers and lightning to relaxing saunas and an oasis of plants, Slush is one of the biggest event productions there is. After two days of pitching, funding negotiations, presentations and panel discussions the space turns effortlessly into a huge afterparty which featured this year a music producer and DJ Jillionare as the main act. Before a straight flight from San Francisco to Helsinki was available investors use to be flown from the west cost of US to the slushy northern Europe with a private jet for the event. Once again 4-5th December, more than 20,000 people gathered to Helsinki to get inspired, invest, find funding and meet likeminded tech heads. Is Slush the most beautiful event in the world? See the pictures and judge yourself! Check out also #Slush18 in twitter. 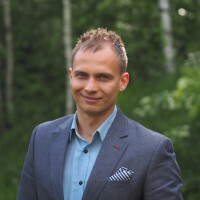 Ite wiki functions as the open marketplace for the b2b software industry in Finland.